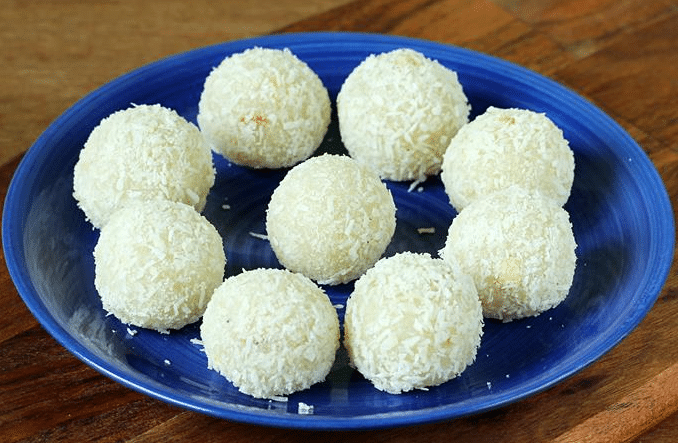 Coconut Ladoo are made especially during festivals like Baisakhi, Diwali, and Ganesh Chaturthi etc. these coconut ladoos are made with dried coconut. 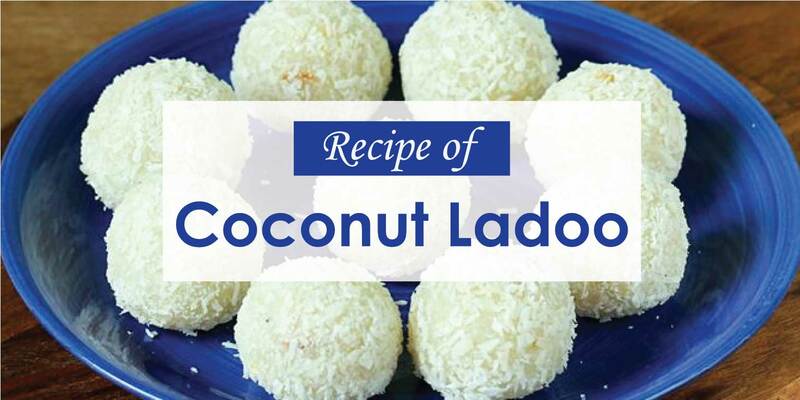 Coconut ladoos are prepared with 3 basic ingredient which includes coconut, milk and sugar. Coconut is a good cooking ingredient, it also have lots of health benefits for skin, hair and body. In a pan heat ghee, add raw coconut and roast it for a minute on medium heat. Keep aside. In another pan roast the mawa on medium heat. Roast while stirring continuously. Keep cooking till it gets very little light pink in color and will leave the sides of the pan. Approx 5-6 minutes. Let it cool down a little. When still warm add coconut (save 4 tbsp for rolling), powdered sugar, cardamom powder and milk. Mix well. Grease your palm with little ghee and start shaping the ladoos. Roll each ladoo in the coconut powder. You can store the ladoos for 8-10 days in the refrigerator. 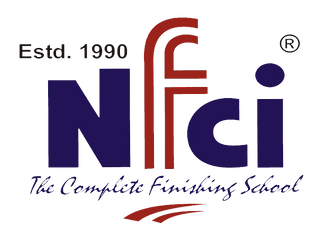 NOTE:– If you are using desiccated coconut then you don’t need to roast it.